"Christmas is coming the goose is getting fat, won't you please put a penny in the old man's hat..." came blasting out of my car stereo when I turned on the car. Christmas songs were playing 24/7 on the radio station 106.9 in Seattle and my dial had not changed since December 1. I loved Christmas songs and since it was December 23, I was rocking the Christmas music. I was headed to the beach house for Christmas with my family and my significant other. 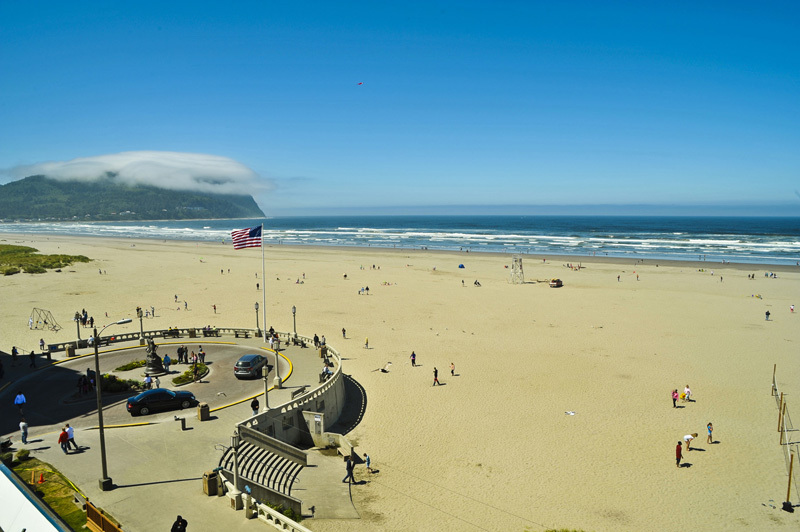 I turned up the radio as I pulled out of the driveway for the four hour ride to Seaside, Oregon. I got to sing "I'm Dreaming of a White Christmas", "I Heard the Bells on Christmas Day", "I Saw Mommy Kissing Santa Claus" and all the rest of my favorite songs before I lost my favorite December radio station to fuzz somewhere near the coast. There was only an hour left so I popped in a well-used Christmas CD and enjoyed my own music the rest of the way to Seaside. I was due in a day before Ryan, my significant other, but some of my family members would already be there and the rest would arrive tomorrow with Ryan. The good news was I was going to get my own room this time! My older sister June and her husband William were spending Christmas at home and then going to visit his family this year. Grandma and Grandpa Brunt were spending Christmas with my Dad's sister Elsie so that meant there would be an extra room. As the oldest, single person, I got it. Of course I beat out anyone else by twenty years, but who's keeping track. I was excited to be with my family. Christmas was always a special time for us. We had lots of fun, family traditions and always had so much fun together and this year I had Ryan to share that with. This was my first Christmas bringing someone "home" or to Seaside for Christmas. I was a little nervous about that but more excited than anything else. I arrived shortly after one o'clock. My dad came out to meet me. "You're a little late, dearie," he said as he grabbed my bag. "You were supposed to be here by lunch, which was an hour ago." "I know but my bed sucked me in an extra hour. I just barely escaped as it was. I shall try to make it up to you!" "Yes you will. Your mother is in making you a sandwich and as soon as I drop off your bags you're coming with me. We're already an hour behind schedule," said my dad with a twinkle in his eye. I was intrigued. "Where are we going?" "We're going Christmas tree hunting," he replied. "What? We don't get the tree until Christmas Eve when everyone is here," I replied. I was a stickler on traditions. We do not break traditions. Besides, I wanted Ryan to be there to have that experience. "Yes, yes, I know dear, but what you don't know is that every single year your mother makes me go out and hunt down the perfect tree the day before we go tree hunting. This way I know exactly where we are going, I know the tree I want and can steer the kiddos to it. Plus, it doesn't take forever," he said. I think I stood there with my mouth wide open in complete shock. How many years had this been going on? And why was I just finding this out at the ripe old age of 27? And why did mom insist he still go out beforehand since we were all adult children now? All these questions went through my mind but all I got out of my mouth was, "What?" "Long story. Perhaps I'll tell you later. The important thing is we are going so you should probably get something warmer on, and quick. I'm leaving in the next ten minutes and I'm not going alone this year," said my dad as he disappeared into the house. I still stood by my car shocked that all these years my father had gone on a pre-hunting hunting trip for our Christmas tree. I walked inside the house and my mother grabbed me and gave me a big hug. "Hi honey," she said releasing me. "How was your trip?" "Great, uneventful and full of Christmas songs. Dad just told me we're going hunting for the Christmas tree. The one that we are going to go and find with everyone, tomorrow," I told her. "Yes dear. It's a long story but needless to say, your father goes out every year to find the tree the day before we all go hunting for the tree. It just makes everything better. Perhaps I'll tell you the story one day but right now you have to get changed into something warmer and then come back and eat this sandwich. Hurry along dear," said my mother as she gave me a quick push from behind towards the stairs. "You're in the blue room." I headed up the stairs to the blue room. If we were going tree hunting I needed some long underwear, a thicker jacket and my hat, scarf and mittens. Dad had obviously finished putting my bags in my room and was just coming into the hallway, "Hurry dear. We're burning daylight!" and he rushed back downstairs. I opened the door to the blue room and a wave of nostalgia swept over me. It's the room Junie, Julie and I used to share when we were kids vacationing here. As kids, we had had a lot of fun and planned a lot of mischief in this room. The bunk beds were gone, replaced by a much more practical queen bed, but the carpet and walls were still blue. The pictures on the walls were the same and all of our trinkets still sat on the bookshelves. I loved this room. I quickly got dressed and headed back down to the kitchen to eat lunch. Mom and dad were in the living room talking to Grandma and Grandpa Thomas so I sat down to eat. I knew I did not have much time. Dad was anxious to get on the road. Just as I started in on my sandwich Dad came into the kitchen. "Gotta go kiddo. Grab that sandwich and meet me in the car. I'm going to get some supplies and meet you there," said Dad as he headed outside. I looked at Mom who had followed him into the kitchen. I had only gotten one bite. She grabbed my sandwich and put it in a baggie and held it out to me. "Don't hold up your Dad. I want you home before it gets really dark," she said. And by really dark, she meant before dinner time, since it gets dark about 4:00 in the northwest at this time of year. I gathered up my hat, mittens and scarf, grabbed my sandwich from my mother's outstretched hand and headed out the door. Dad was just coming to the car with a couple of blankets and flashlights. "Dad, we're not camping out there. What's this all for?" I asked. "Just a precaution. You never know what you might encounter. Get in. Let's go," he said as dumped the things in the back seat and then got into the front seat. I climbed into the car for the trek to Uncle Sam's land. He was not really our uncle but a friend of the family and every year we went to his land and chopped down our tree. We always stopped by his house and he made us hot chocolate and we got to put in as many marshmallows as we wanted too. It had always been a big treat when I was a kid and I still looked forward to it. The drive was pleasant. Dad and I got caught up on life. He asked a lot about Ryan. He knew we had been dating, well as much as two people can who live in different states. Dad had met him the last time we were all together in Seaside, but our relationship was just starting then. Now, well, now it had progressed but I still was not sure where it was going since we lived so far away from each other. However, I was living in the moment and enjoying him and his company. I was definitely not thinking about the future and what may or may not happen. That is what I told Dad. Dad patted me on the knee and reassured me that it would all work out for the best. I hoped so. I spent the last few minutes of the ride staring out at the trees that surrounded us on each side wondering about Ryan. It caught me a little by surprise when we pulled into Uncle Sam's driveway. Uncle Sam was an old confirmed, bachelor. I sometimes liked to call him a hermit but he loved having us come visit him each year at Christmas. We also made sure to always visit him during the summer too. He was eccentric and wild woodsman and obstinate old man all rolled into one crazy but very likeable person. Sam was well into his eighties and living all alone on a 100 acre spread of trees and farmland. He chopped his own wood, which fueled his heat source. He grew most of what he ate and took care of his land by himself. He had only gotten indoor plumbing in my lifetime. I still remember using his outhouse when I was five. It was quite a traumatic experience in my life to use a hole in the ground. Most of Uncle Sam's land was just trees, which is why we came here every year to cut down our Christmas tree. Dad did not want a tree farm tree. I did not understand the difference between going to a tree farm and Uncle Sam's land except that it made my Dad happy and Uncle Sam too. I climbed out of the car and saw Uncle Sam coming down the stairs. I greeted him with a big hug and Dad shook his hand. "Out for the big tree finding expedition, are you? I thought you might be here a little earlier today," said Uncle Sam. "I was planning on it but then sleepy head here arrived a little late. I wanted company this year so I waited for her," said Dad. I smiled at Uncle Sam. He put his big arm around me and whispered in my ear, "Sometimes the bed wins but you mustn't make it a habit." Dad laughed. Uncle Sam's whispers were quite loud. "I know, I know Uncle Sam. I'll do better but right now let's go find a tree. Do you go with us Uncle Sam?" "Of course I do. I gotta make sure your Dad don't get lost. He's got a record you know." I looked back and forth between Uncle Sam's and Dad's faces, "No, no I don't know about that. What are you talking about?" Uncle Sam looked at Dad and they smiled. Dad said, "I told you, it's a long story and it's for another day. Let's find that tree and get home before your mother worries too much and calls out the cavalry." "Well, I think I found you a good tree this year," said Uncle Sam as we all headed to the car. He directed us around his acres of trees until we came to a nice 6 foot tree that looked just like most of the other trees we had seen. After getting out and walking around the tree a couple of times, my Dad and Uncle Sam declared it the one. We all got back into the car and headed back to Uncle Sam's house. This entire expedition was confusing to me. Why my Dad scoped out the tree ahead of time and why he wanted me to come along today I had no idea, but I was ready to be back home. That sandwich had not been enough and I was getting hungry. Besides, I still had presents to wrap before everyone got here tomorrow. We dropped Uncle Sam off back at his house and headed out. It was just after 4:00 and with the way Dad drove, when Mom was not in the car, we could make it back well before 5:00. Dad was quiet on the ride home. It was a nice quiet. Just before we got back to Seaside Dad said, "Jessie, I need your help." That caught me a little by surprise. "It's partly why I asked you to come along. I need help getting a present for your mother. I'd like to get her a piece of jewelry but I have no idea what to get. I want it to be a surprise, otherwise I would just let her pick it out." He started talking a little faster. "She'd probably be happier picking it out herself but I want to surprise her for once on Christmas. She almost always knows what she is getting because she either buys it for herself or tells me to go buy it for her. It's been over 35 years and I'd like to get her something she isn't expecting," he finished. This was big for my Dad and Mom. Mom did not like surprises. She liked what she liked and she knew what she liked. She knew Dad could not possibly figure it out so she always told him exactly what she wanted. It made things easier for everyone. Mom was not disappointed on Christmas morning or for her birthday or wedding anniversary and that was what mattered but here was Dad wanting to get something nice for Mom without her knowing. I loved it, but I also dreaded it. Picking a gift out for Mom was very hard. "Okay Dad. What have you got in mind?" I asked. "There's a jewelry shop in Astoria that has a lot of stuff. I've already looked at everything they have and talked to them. They are staying open late tonight so we can find something for your mother. I'm pretty sure with both of us looking we can find something your mother will love." "Sounds like a plan. How long have you been thinking and planning this?" "Long enough that I've looked in almost every jewelry store by our house but I knew I needed help. I was glad when you were coming down a day earlier than everyone else. I told your mother I needed your help to find the tree this year and then I found the jewelry store in Astoria that had their inventory online. I checked it out and then called them and asked them if they could stay open late today. Since it's so close to Christmas I wasn't sure they'd be willing but they agreed. I took a trip to the store yesterday when I was supposed to be getting the oil changed and checked it out. I picked out some options I thought your mom might like. We can look at those first, but there's a lot more there. I'm just so glad to get some help," Dad sighed. I could tell this was big for Dad. I don't think he had ever spent that much time on a present for anyone. We had to get this right. When we got to the store it was about 5:00. Dad called Mom and told her we had decided to stop and get some dinner in Astoria. He told me she was not suspicious at all. It didn't surprise me since it would be completely normal for us to stop in Astoria for dinner but it was cute that Dad was going all super spy on me. As we entered the store, I noticed the sign said they would be open until 8:00 tonight. I chuckled. I knew they would not have to keep the store open late tonight for us. Dad would be done long before that, and if he was not, than I would. Dad led me over to one of the counters where a woman named Ruby, who was older than my father and had a purple tint to her hair, waited for us. I thought it funny that a lady named Ruby worked in a jewelry store. "Hello, Mr. Brunt. I'm so glad you made it back to us. I've got the selections you made in the back. I'll be right back with them," she said as she shuffled off to the back of the store. "I'm going to wander around and look," I said as I moved away. Dad moved right next to me. "Okay. Tell me what you like." "Okayyyy." Dad was serious about this endeavor. "Do you know her ring size, Dad?" "Nope. Well not really. I took her wedding ring one night and traced it but Ruby said she could only guess at Mom's ring size with my outline. It was the best I could do. I knew if I took your mother's ring, she would go ballistic trying to find it and I didn't want that. I've picked out a couple of rings and some necklaces and bracelets but I'm not sure what to get. I don't want to come back and get the ring sized but is a necklace or bracelet as meaningful as a ring. I don't know. I need your help," he said. "I think so Dad. Let's look at everything and then we can decide." "I just don't know," he said and I knew he did not. This was foreign territory for him and was going to be especially hard since we were buying for one of the hardest people to shop for in the world, at least our world. Ruby came out at that moment and we met her at the counter again. She laid out the five choices my father had made and I tried to keep from laughing. There was a necklace that was a big diamond studded seashell. I liked the sentiment behind it since I knew my mother loved to collect seashells but I also knew she would never wear one around her neck, especially if it was diamond studded and that large. I peeked at the price tag and just about fell over. I could buy a small country or at least a small car with that amount. I guess money was not a problem at this point in my parent's life and my dad wanted this to be special. I felt a little more pressure, especially as I looked at my dad and told him none of these would work. "Let's start again, Dad. It needs to be elegant and understated," I said this loud enough so Ruby could hear. I was not sure who actually picked out the five monstrosities in front of me but whoever it was needed to go back to the drawing board. "I've always thought your mother's tastes and your tastes were very similar. It's one of the reasons I was so glad you were coming a day earlier than everyone else. I knew you could help me pick out the perfect thing," and with that he followed me around the store as I pointed out things I liked. He nodded at Ruby if it was an option and she collected those and put them on our counter. We ended up with eight options we both liked. There were three rings, three necklaces and two bracelets. Dad ended up picking a round brilliant 1.5 carat, almost flawless, diamond platinum ring. It was beautiful and could be worn with Mom's wedding set or by itself. Someone came and took the ring back to wrap it up for Dad, and while Ruby and Dad talked, I wandered the store. There was a lot of beautiful jewelry there. I looked over and saw Dad was signing papers with someone and Ruby was heading toward me. "Your father will be a few more minutes. Is there something I can show you?" asked Ruby. "But you might as well try something on while you are waiting. How about this necklace?" she asked as she pulled it out of the case and held it out to me. It was beautiful, understated and elegant. There were three round diamond stones all in a row on a very nice white gold chain. "Sure. I'll try it on," I said. I mean why not? I had some time to kill. I turned and she fastened it around my neck. I looked in the mirror and fell in love. "It's beautiful," I said in awe. I usually was not one for a lot of bling but this just spoke to me. "How did you happen to pick this one?" "I've been in the jewelry business a long time. I get a sense for my customers, what they want and what would look good on them. We've just spent an hour looking at jewelry together. I could probably pick you out a ring and bracelet too, sweetie," she replied. "I do own this place. It's been here a long time because I'm good at what I do." I could not argue with her. I loved the necklace so much so that I took it off with some regret. It was beautiful but jewelry of any kind was not in my budget right now. I was saving for a house and most of my money was going into savings. "Thanks for letting me try on the necklace, Ruby. It was beautiful and the perfect choice for me." "No problem, sweetie. You come back and see me when you're ready to buy something. We'll find you the perfect thing," Ruby said. I had no doubt that she could. Dad came up then. "Let's go. We've got to go eat and get home to your mother before she gets too suspicious but grandma and grandpa know what's going on so they are helping to distract her." As we left the store, I said to Dad, "You've got all your bases covered. I'm impressed." I felt like Dad needed security around him while he carried his package from the store to the car. It was my turn to go all super spy and I canvassed the parking lot looking for someone who migth be lurking around the parking lot. It was clear. I hurried and got in the car. Dad suggested we stop for dinner but I did not want that necklace floating around in public. I suggested drive thru. We could tell Mom we got the food and then went and watched the waves while we ate which is what took so long. We stopped at McDonalds because that is where my father always takes us even though we are no longer kids. We ate as we drove home. I was glad to get back home and see that my mother did not seem suspicious at all. My father had given me the package to put up in my room. I headed there right away with the excuse of getting unpacked and finishing some wrapping while my parents and grandparents happily worked on a puzzle. I hid the package under the loose floorboard in the far corner of the room where all our girlhood treasures still resided. It brought back good memories of childhoods spent at the beach. I unpacked, wrapped presents and then got ready for bed. I ran downstairs and said goodnight to my parents and grandparents, who were still hard at work on the puzzle. They had to finish it before the day after Christmas, when John and Lisa would arrive with the grandchildren. Then, no puzzle would be safe. I made a quick call to Ryan. I told him about the finding the Christmas tree the day before the entire family went to get it and about buying the ring for my Mom and made sure everything was set for him to come tomorrow. I woke the next morning to the sound of waves coming through the window I had cracked open the night before. I loved the sound of waves but because of this, my room was very cold. I pulled the covers close around me and snuggled in to rest and relax before I got out of bed until I glanced at my clock and saw it was almost 10:00. Ryan was due here between 11:00 and 12:00. I jumped out of bed and got a shower and got ready as fast as I could. It was 10:45 and I was just sitting down to a late breakfast when I heard a knock on the door and in came Ryan. "You're early," I said, as I got up to give him a big hug and kiss. "Am I? I guess I was just anxious to see my girl," said Ryan as he got in another quick kiss before my mother came through the kitchen door. I sat down to finish my cereal before it got soggy. "Ryan, it's so good to see you," she said. "I wasn't expecting you for a little bit yet." "I know but I was so excited to see Jessie and be with your family that I just couldn't stay home any longer." "Are you hungry Ryan?" my mother asked. "It looks like Jessie is eating but she forgot to get anything for you." I looked up at Ryan guiltily. "Sorry," I mouthed. "Actually, I had breakfast and I'm not really ready for lunch. I think I'll just sit here and watch Jessie eat," said Ryan as he sat down next to me. "Well, at least let me get you a snack. We have some muffins from Costco," she said. "A half of a muffin would be wonderful, Sarah. Thank you," said Ryan. Mom moved around the kitchen and got Ryan his half of a muffin and then gave me the other half and then surprisingly, left the room. I raised my eyebrows as she beat a hasty retreat out of the room. "I think she really likes you," I said as I stuffed the muffin in my mouth. Costco muffins were the best and I only got to eat them when I was with the family. "Well, I really like her and I really like her daughter," he said, and he reached over and kissed me on the cheek. I mumbled something around my muffin in reply. "I still have to get checked into the condo I rented for the next week. When you are done eating, can you come with me or do you have family duties?" Ryan asked. "Nope, I'm free but we have to be quick since we are leaving to chop down the tree at 1:30." "This is the tree you went and found with your Dad yesterday but we all have to go back today and chop it down, right?" "Right. I still don't get it but that's what we are doing. We have to have enough time to get it home and decorate it and still have our big Christmas Eve festivities," I said. "And what are those?" Ryan asked. "I told you at Thanksgiving. We have a nice dinner, read and act out the story of Christ's birth, although I'm hoping we might be able to skip that part this year since none of the grandchildren are here but I doubt it. Then we all get to open one present that Mom picks out for us. It's always pajamas so don't get too excited. I picked yours out for you this year," I said. "I picked some out for you too but you'd better not open them in front of your parents," Ryan shot back at me. "I'm just kidding," he replied, hands up in the air. "Ryan. What am I going to do with you?" "You could start out by kissing me," he said. I reached up and gave him a big kiss. "Ahem," said my dad, as we quickly broke apart. "I heard you were here Ryan and wanted to welcome you." He reached out and shook Ryan's hand very formally. "It's good to see you sir. I'm looking forward to chopping the tree down today and all the other festivities," said Ryan, a bit nervous. He was always a bit nervous around my dad even though they got along pretty well once they had warmed up to each other. "I'm sure you are," said Dad. "I'm sure you are." Dad folded his arms across his chest. "Well, we have to be leaving around 1:00 so what do you have planned in the meantime?" "I need to get checked into my condo, sir. Jessie was going to come along with me and we would be back in time go for the tree," said Ryan. "Jessie, isn't he staying in the condo's right near downtown?" "Good because Grandma needs to go get something at one of the little shops underneath the condos. Would you mind taking her?" asked Dad. "No problem Dad. Can you tell her we will be leaving in five minutes?" I asked. He nodded and turned and left the room. "I know your dad likes me but sometimes I worry he doesn't," said Ryan after the door had closed. "He thinks you're great. He just thinks I'm still 16 and need a chaperone. We'll take Grandma and help her get what she needs. You can get checked in and everyone will be happy. We'll get alone time later tonight, hopefully," I replied and gave him another little kiss before heading upstairs to get my things. While Ryan checked into his condo, I helped Grandma with her shopping. She kept thanking me for helping her and apologizing for intruding on my time with Ryan. I assured her I always loved shopping with her. We managed to get the shopping done before Ryan came back to collect us and we sat down for a nice hot chocolate. Ryan found us and we headed back to the beach house. It was a little after 12:00 and Mom had lunch ready for us. Julie and her husband Michael had arrived and were already eating lunch. Mom bustled us in and got us all situated around the table before she poured us all big, hearty bowls of her famous zuppa toscana soup. She says Olive Garden based their own soup recipe off of hers. I do not know how true that is but it sure tastes like Olive Garden's soup. Dad says it is better because it is filled with love. Mom only makes this recipe a couple of times a year so I dug into my bowl quickly. I knew Dad would soon make us all pile into the cars whether we were done or not. "Sarah," said Ryan to my mom, "this is the best soup I have ever had." "I know," she said before she smugly walked back into the kitchen to get some more rolls. We were devouring those too. "Ryan," said Michael, Julie's husband and the newest addition to the family, "this was one of the things that sold me on this family." Julie quickly threw her elbow in his direction. "Well, it was. Not that they aren't all wonderful and amazing," he said as he smiled up at Mom, "but this soup definitely won me over." Mom smiled at Michael. She loved compliments. "Okay, okay guys. Hurry and enjoy the soup because your father will be in soon and we'll all be whisked away to go chop down the tree," said Mom, smiling at everyone at the table. We had about five more minutes to eat before Dad came in and hustled everyone out the door to the car. He was a man with a schedule and no one was going to interrupt it. We left all the dishes on the table and Mom was only allowed to put the lid on the soup before she was out the door, grumbling all the way about leaving messes. She hated a dirty kitchen. The drive was uneventful. Ryan and I drove in Julie and Michael's car and followed Mom and Dad who brought Grandma and Grandpa. No one was left behind for the big expedition. We pulled into Uncle Sam's yard and Uncle Sam came right out. He walked over to Dad's car, talked for a few minutes and then waved us all on. He was probably staying home to fix the hot chocolate for us. We followed Dad as he led us right to the tree he, Uncle Sam and I had found yesterday. We piled out of the car and circled round it. Everyone proclaimed it perfect and Dad went to get the saw from the trunk of the car. Grandma and Grandpa and Mom headed back to the car to wait. Dad came back with the saw and handed it to Michael. He dropped the netting for the tree at their feet. "Boys, it's your turn to start cuttin' the tree down. I'll be waiting in the car with the old folks. There are bungee cords and rope on the roof of the car so you can tie it down. Let me know if you need any help," said Dad and with that he turned and headed back to the car. Michael looked at the saw and then the rest of us. "Anyone know how to cut down a tree?" We all shook our heads. I had seen Dad do it enough that I had an idea but he had never let any of us cut the tree down before. Even my brother John had never been asked to do it. Ryan pulled out his phone. "Let's check YouTube. There's probably a video on there on how to do it." He quickly had it pulled up and he and Michael were looking at the screen. The first video they tried had a guy shooting down a tree with a shotgun. It took him two shots to do it but he lost a large limb off the right side of the tree. We got a laugh out of that but no help. They quickly picked another one and the guy just sawed it straight across. This is what we all thought we were supposed to do but they watched two more videos before they cut the tree. Ryan held the tree trunk and Michael got down on the ground and started sawing. He was about half way through the tree when I realized I wanted to help too. Who knew if this was going to be a recurring tradition or a one-time shot. I wanted a try at sawing down the Christmas tree. "Michael," I exclaimed, I think I was afraid he was about to finish. He jumped a little off the ground. "What?" he asked, startled by my tone. "I'm sorry, it just hit me right now that I want to help saw the tree down too," I said with a little more decorum. "Oooooh, me too," said Julie and she seemed to be jumping up and down a little bit. "We'll, I guess I'd better get a turn too," said Ryan. "When your father wants to know who chopped the tree down, it's not going to look good if I didn't do anything." "Okay," said Michael. "but next time don't scare me half to death. I thought I'd cut the tree down wrong or something the way you were talking Jessie." "Sorry about that," I said, taking the saw and kneeling on the ground so I could start sawing again. I only did a little sawing because I wanted to make sure everyone got a turn. I turned it over to Julie but it was fun to know I actually got to help this year. I was almost thirty and truly cutting down my first Christmas tree. Julie sawed a little bit and then handed it to Ryan who finished off the tree. Luckily Michael was holding the tree because it started to fall on Ryan before Michael redirected it. We finagled the netting over the tree and then hauled it over to my parents car. We secured the tree to the car but I think we were all a little leery about the job we had done. Ryan and Michael both pulled and yanked at the tree before Julie told Dad we were ready to go. Dad got out to check our tie down. He pulled and yanked on the ropes and bungee cords and proclaimed it secure. I was hoping the combined forces of Dad, Michael and Ryan pulling and yanking on the tree had not loosened the tree since we would be driving behind it. We headed back to Uncle Sam's home and all piled inside for out hot chocolate. It was tradition, even if we were not little kids anymore. We boasted to Uncle Sam how we had cut down the tree and secured it to the car all by ourselves this year. I felt a little juvenile about the whole thing but it was our first time and we were all excited about it. "Did I ever tell you about the first time your father tied the tree down all by himself. The first couple of years I helped him with it but after about five years, I let him do it himself. He made it back to the house where you kids all had some hot chocolate with marshmallows. I think you kids ate an entire bag that year. It might have been the first year Julie actually drank some hot chocolate instead of just eating the marshmallows. Anyway, after the hot chocolate, you all piled back into the car and made it about twenty feet down the driveway when the tree slid off the back. I hadn't even gone back inside yet. I was still waving you guys off. You kiddos were in the back seat waving as fast as you could and then the tree fell right off the car and you looked so surprised, like you couldn't even figure out what had happened. I laughed and laughed as I walked down the road to help your dad get it back on the roof. I let him tie it again. This time he asked me to check his tie down. I only made one minor adjustment and then you were on your way again. He had it good and tied down that time. I can still see that Christmas tree sliding slowly off the back of your car. That was a hoot," laughed Uncle Sam. "I never heard that story," I said. "I've never heard it either," said Julie. "Really, I could have sworn I'd told that one a time or two. Well, I got lots more," said Uncle Sam. "Maybe another day," said my father, hurriedly, "that's enough family storied for now. Besides, we've got to get back soon or we won't have time to decorate and do everything else we need to do." "Uncle Sam, would you like to come into town with us tonight and help decorate the tree?" I asked. We asked him every year and every year he declined but I wanted to make sure we asked him. "That's awful sweet of you Jessie, but I'm going to stay here tonight. It's my tradition," said Uncle Sam, as he started to collect the empty mugs. "Let's help get these mugs in the kitchen and get things cleaned up," said Mom. "No Sarah. You guys go on ahead and get going on your Christmas Eve festivities. Cleaning up after you guys is one of my Christmas Eve festivities. Hurry up. I'm sure Daniel has you on a tight schedule for tonight," said Sam, as he ushered us out the door. "You know us so well, Sam. Thanks again for letting us get our Christmas tree here. It really is one of the highlights of our Christmas season." Mom gave Sam a big hug and then called to Dad who was already waiting by the car. "Daniel, bring that package in from the back, the one for Sam." Dad grumbled about schedule and time as he got the package and brought it up on the deck of the house and handed it to Sam. "Merry Christmas, Sam," said Dad as he shook Sam's hand. They exchanged a look of friendship and then Dad was hustling everyone off the deck as soon as they gave Sam a hug. We got in our cars and all turned and waved to Sam until he was out of sight. Michael, who was driving, turned to Julie and asked, "How do you think we did on tying down that tree?" "Well, we made it farther than Dad did the first time he tied down the tree," said Julie, who patted Michael on the shoulder reassuringly. "I think it will be just fine. Dad did check it. Even though he may have had a problem that one year, I can't remember every losing the tree so he's been doing it right for over twenty years now. I'm sure it will be fine," I said and nestled my head on Ryan's shoulder, closed my eyes and listened contentedly to the Christmas music playing on the CD player. I woke up once the car had stopped at the beach house. Mom and Grandma headed in to clean up lunch and make dinner. Dad and Grandpa stayed outside to supervise the tree. First, they had Michael and Ryan shake down the tree to make sure that no unwanted visitors were on board. Then, they had the boys haul the tree into the living room and set it up right in the middle of the front window. That way, from the front couch, you could see the tree with the beach and waves in the background. At that point, Dad told me and Julie that we were to decorate the tree while he, Michael and Ryan went on a Christmas Eve expedition. "Grandpa, I leave you in charge of these two decorating girls. Make sure they do an excellent job," Dad said. "They always do," said Grandpa, as he sat down on the couch to admire the tree. I was intrigued, but could not be too inquisitive. After all, this was Christmas. The boys headed off with Dad and Julie and I proceeded to decorate the tree. After they left I said to Julie, "It's a little suspicious don't you think. Them going off after 5:00 on Christmas Eve. What's even open at this time of night?" "I don't know. I didn't even have an inkling that Michael had anything up his sleeve this Christmas. I ordered everything for him and told him to wrap it," said Julie. "Maybe we should ask Mom," I said. "Now girls, don't go ruining Christmas," said Grandpa. "If they want to surprise you, let them. Who knows when it might happen again." Julie and I exchanged a look and shrugged our shoulders. Grandpa was probably right and besides, Mom would never squeal. Julie and I put the lights on and all the decorations and sat down to admire it. Mom and Grandma came in and admired the tree. Mom looked around. "Where's your father?" "He's on that Christmas Eve expedition," said Grandpa raising his eyebrows at her. "Oh yes, well, they should be back soon. In the meantime, I need your help in the kitchen. She put everyone to work, even Grandpa. Mom would have made a good general. In a little over an hour Dad, Michael and Ryan came back looking very smug and excited and Mom quickly had us all sitting down to dinner. I tried asking him questions over dinner but he either ignored me or he kept telling me not to ruin Christmas. Dinner went by quickly, too quickly, since I was still trying to get some information from Ryan. Dad declared it time for the nativity when he looked around and saw everyone was done. "We're just reading it this year, right Dad?" asked Julie. "Since there's no kids around?" Obviously she was thinking along the same lines as me. "Heavens, no," said Dad. "We act it out every year and this year is no different. Julie, you and Michael will be Mary and Joseph. There's a baby doll in the kids toy box you can use for Jesus. Jessie and Ryan, you guys will be the shepherds and then you can be two of the three wise men and Grandpa Thomas will be the other one. Okay?" Dad looked at Grandpa. Grandpa nodded. I guess he got a say. Dad continued, "Mom and Grandma will be the angels and I will be the narrator. Jessie, I'm putting you in charge of costumes. You know what we usually do." He looked at me. I nodded. I knew there was no point arguing. "Michael, I'd like you to arrange the music. You can use whatever device you have to get us the songs. Julie, help him so he knows what songs we need. As soon as we get dinner cleaned up, we will meet in the living room for the play. Okay? Any questions?" No questions. We all got up to complete our assignments. Dad pulled me aside. "Can I get that package from you? I want to have it on hand should the perfect moment present itself." "Sure Dad, I'll get it right away." Dad followed me upstairs and I got the package out of my childhood hiding spot. "You put it in your old hiding spot?" asked my dad. "You know your mother knows about that place, right?" "I guess I never thought about it. I just assumed she didn't know it was there but it makes sense she does. But, it's just the place I hide things at the beach house," I replied, a little surprised. "Well, thanks for keeping it for me." "Sure Dad. When are you going to give it to her?" I asked. "I'm not sure. I think tomorrow but whenever the moment presents itself, I'll know it and have it on hand to give to her. Thanks for keeping it for me." He hesitated before continuing, "You do really like it, don't you?" "Dad, I love it. I don't think you could have picked a better gift. She'll love it," I said, trying to reassure him. "But, if you got this ring, would you be happy?" he asked. "How could I not be? It's beautiful! It will be the perfect gift. Just wait and see," I said, giving him a big hug. "Just make sure I'm there to see you give it to her." "Oh, you'll be there for sure," he said and walked away. I went back to the front room and saw Ryan resting in the recliner. His eyes were partially closed and he looked so cute lounging around on Christmas eve in our family's beach house. I was so glad he was there. I walked over and knelt down by the recliner. "I've got to get the Christmas costumes out. Are you okay just resting here while I do it?" I asked. "No, I want to help," he said, jumping out of the recliner. "Okay," I said and turned to go back down the hallway. Ryan followed me and we started to collect robes, towels, sheets, ties and belts from around the house. We would know exactly what we would need when we started putting the costumes on but these were the usual things we used. Ryan was a good sport about it, holding everything I collected and getting in a few kisses here and there. Christmas was definitely fun with him around. After all the costume fixings were collected, we headed to the living room where Michael and Julie were still trying to figure out how to play the songs we usually sang. I thought it was a nice touch we were going to have music for once. We usually sang acapella but maybe Dad did not want to scare the neighbors, or Ryan, away. Either way, I was glad we would have music and that Michael and Julie were in charge of it. Soon everyone was gathered and I had everyone in costume. It was later than anticipated, but we were all adults so the time should not have mattered that much. However, Grandpa and Grandma kept threatening they were going to turn into pumpkins soon if we did not get things going. Dad got everyone's attention and started the narration of the story. We acted it out with only minimal giggles and everyone joined in singing with the Mormon tabernacle choir which is the music Michael and Julie had picked for our nativity music. We sounded like angels as we sang with them, especially since Michael had set up extra speakers in the room. It was wonderful. Mom and Grandma even shed a tear or two, which is how we always knew it was a success. By the time we had cleaned everything up, it was getting close to 10:00. Mom sat down by the tree, which had somehow filled up with presents, and started handing out our Christmas Eve presents. Everyone opened their boxes of pajamas and showed them off. We all put them on except Grandpa and Grandma who headed right off to bed. We took a few pictures and then Mom commandeered Julie and I to help wrap presents. I patted Ryan on the knee and let him know I would be back soon. When I walked into Mom's room and saw the large pile of presents to be wrapped, I knew I would be there all night. I wrapped a bunch and then volunteered to put them under the tree. Dad, Michael and Ryan were watching one of Dad's westerns on TV. The beach house only had so many DVDs and most were either Dad's or the grandkids'. I put the presents under the tree and went and sat by Ryan. "How goes it?" asked Ryan in a quiet voice so as not to interfere with the movie. "Are you almost done?" "Unfortunately, I'm not even close. If you want, you can go back to the condo and I'll see you in the morning or you can wait here until I'm done, but I don't know when that might be." "I'll wait," he whispered in my ear, giving me goosebumps, "I couldn't possibly leave this western not knowing what may happen tomorrow at high noon." "Okay. I'll try to hurry," I said, and gave him a quick kiss before I headed back to Mom's room. We wrapped some more presents and I took them out again and said a quick hello to Ryan and got a quick kiss before I headed back to wrap some more. The next time I came out, Ryan was asleep on the couch. I got him a blanket before I went back to wrap some more presents. Dad came back too but was shooed away to watch another movie. We wrapped some more, filled some stockings and then were finally done. By that time, Michael was in bed and Dad and Ryan were asleep on the couches. Mom woke up Dad and told me to leave Ryan sleeping on the couch. "Let him sleep," said Mom, as Dad walked by in a daze. "That way he'll already be here in the morning. You might want to put the clothes he left there at the other end of the couch, out of the main thoroughfare, so no one trips over them." "See you in the morning and let him sleep. He needs it." She winked at me as she walked away. I puzzled over that. My parents had insisted Ryan stay at a separate dwelling while he was visiting but now that he was asleep on the couch, they had not problem letting him stay. I bent down to pick up his stack of clothes so I could move them to the far end of the couch. I knew if anyone would trip over those clothes it would be Grandma. I did not want to be the cause of a trip to the ER on Christmas day. As I stood up, a small square box fell out of Ryan's clothes. I looked down at it and almost dropped the clothes. It was the small box I had given my father earlier that night. It had to be. It was the same size and shape and wrapped in the same paper. I had just seen it a couple of hours earlier. Was it the ring? Was it the ring I'd chosen for Mom, the one that cost as much as a small car? Was the ring really for me? My hand started shaking. I dropped the clothes on the floor and quickly picked up the box. I looked from the box to Ryan and then back at the box. My brain was yelling at me and not in a good, girly squeal of delight but more of a panicked, run away as fast as you can yell. I did the only thing possible at that moment, I ran down the hall and knocked on Julie's door. "Jules," I called quietly through the door. No response. I knocked again. "Jules," I said again, a little louder. Finally, I heard some muffled talking and someone shuffling towards the door. Julie poked her head through the opened door. She looked a little disheveled and I worried I might have done more than just interrupt her Christmas Eve sleep but I needed her right now. I did not know what else to do but show her the box. "I don't really know. I was just moving Ryan's clothes to the other end of the couch when it fell out at my feet. I think it might be a ring," I said. "What?" said Julie, fully awake now and a little loud. "Shhhh," I said. "We don't want to wake him up or Mom or Dad. Come with me please. I need to talk." "Yes, we need to talk," she said and quickly closed the door behind her. I think I heard a groan come from her room before she got the door closed. Michael would just have to be understanding of the current crisis. We hurried down the hall to the blue room. I opened the door and flopped down on the bed and Julie plopped down beside me. We were laying down on the bed, looking up at the ceiling. How many conversations had we had about boys in this very room? Too many too count. This was also the room where she told me she and Michael were getting married. Now, here we were about to discuss the very real possibility of Ryan and I getting married. "Tell me what you know," said Julie, sitting up on the bed and turning towards me. I sat up a little more slowly. "Well, when I picked up Ryan's clothes this box came falling out of his clothes. Yesterday I went to a jewelry store with Dad and helped him pick out a ring for Mom. They wrapped it up and it looked exactly like this," I said, pointing at the box. "Wait, you went to a jewelry store with Dad yesterday to pick out a ring for Mom?" asked Julie. "Yep. He wanted me to help him pick out a special piece of jewelry so he could surprise her. I picked out about seven different pieces I liked and that I thought Mom would like and then Dad picked the ring. It is beautiful." "Didn't that seem a little suspicious to you? The man's never done anything like that before." "At the time I just thought it was very sweet. He wanted to surprise Mom with something nice and believe me, it was nice," I said, raising my eyebrows. "He could have bought a small country with the amount he spent on that ring." "Yes, but now it looks like that ring might be for you," said Julie. I did. In and out. In and out. "Okay," said Julie. "Let's examine the package. Is there any way we can get the package opened to see what's inside?" "What?" I asked. "We can't do that." "Okay, okay. Did you ever try on any of the rings? Does Ryan or Dad know your ring size?" "Did you see what size ring Dad bought?" she asked. "No, he went over and did his business and I looked around the store but there was this nice lady Ruby. She is a jewelry genius. She might be able to guess my ring size just by looking at my hand." "I doubt that," said Julie. "I don't. After spending just a few minutes with me, she could pick out the exact jewelry I would have picked for myself. If this package is that ring, what am I going to say? First of all, it's wayyyyy to expensive and second, I'm not ready to say yes to a marriage proposal. I mean maybe someday but not yet. We haven't even lived in the same state together. I like him well enough as my weekend boyfriend and the person I talk to almost every day via Skype but marriage is a whole nother cup of tea. What am I going to say to him?" I asked as I turned the package over and over in my hand. "Okay, let me see if I can get some info from Michael. He, Dad and Ryan were all gone, quite suspiciously I might add, tonight. I'll go ask him what's up," said Julie and disappeared out the door. I was left there with the package and my thoughts. How could I possibly get out of this with everyone saving face and my relationship still intact? I had never received a marriage proposal before, but I was pretty sure asking him to wait indefinitely for an answer would put a damper on our relationship. I flopped back on the bed and looked at the ceiling hoping it would have some answers for me. There were no answers on the ceiling but Julie came in a few minutes later. I sat up and looked at her hopefully. "He's not talking. I tried threatening him with everything and he refused to talk. He said there wasn't anything worse I could do to him that I wasn't already doing to him right now. I almost pulled out the tears but I figured we had enough drama for one night. Instead, I just left and with no more information than when we started." "You'd tell me if you knew anything, right?" I asked, a little suspicious that Julie could not get any information from Michael. He was usually putty in her hands. She looked indignant for a moment. "Of course I would. This is important. Okay, we don't know for sure what's in the package but we think it's a ring and it's meant for a proposal, right?" "Well I don't think anyone gives "going steady" rings anymore, especially ones that cost a king's ransom. If it's a ring, it's usually meant for a proposal," I said a bit more sarcastically than I intended. I was stressed. "Okay, okay," said Julie, raising her hands at me in mock surrender. "Sorry, Jules. I guess I'm a little more stressed about this than I realized." "I know, I know. I'd be too. But, if it is a proposal, would you say yes?" she asked. I thought about it for a minute. "I don't think I could at this point. I think I love him. I probably do but our relationship has been about fun weekends where we put our real lives aside until our significant other goes home. It has seemed more like a recurring vacation since we only see each other once or twice a month. I'm not sure how we work together in everyday life, if we even can work together. I mean how is he when I have a work meeting that goes late and he had plans for us to go to dinner? Will he be understanding or unreasonable? We don't live close enough to ever have had to worry about the little things in our relationship. What am I going to do?" I wailed, just a little bit and oh so quietly. I did not want anyone else to know about this. Julie sat a moment and looked at me before she reached out and took my hand and said, "Maybe it's time to take the next step." My eyes went wide and I think I sputtered a bit. "I don't mean marriage. I mean it might be time to think about moving to Portland. It's time to find out if all those hundreds of little things work between you two. You could live with Mom and Dad until you find a job. It would give you the time to get to know Ryan on a more personal, day to day level. It might be the right move for your relationship if you think you really love him and want the relationship to work, because if that really is a ring in that box, and it's meant for you and you intend to say no but still want a chance of holding onto your relationship, you'd better have something really good to tell him. Moving to Portland could be it." She was probably right, but I was not sure I could give up my good job and apartment and life and move back home to live with mommy and daddy. I had some thinking to do. "When did you get so wise?" I asked, going in for a hug. "I've always been wise," she responded and gave me a big, squeezing hug. We pulled apart and she continued, "The best thing about all this is that no matter what happens, you're going to be fine and I'll be there for you every step of the way but right now, I'd better get back to bed. You've got some thinking to do." She headed toward the door. "Thanks, I really appreciate your help and your wisdom. Tell Michael thanks for sharing you with me. I needed it." "No problem, sis. That's what little sisters are for," she said as she exited the room. I was left alone with all my thoughts, questions and concerns but first, I needed to get that box back to Ryan's clothes. I snuck back down the stairs and leaned down to put the box squarely in the middle of his clothes. When I stood back up Ryan was just opening his eyes to look at me. "What you doing sweetie?" asked Ryan. "Moving your clothes to the other end of the couch. Mom was concerned someone might trip over them." Ryan shot right up on the couch. "Let me do that," he said. He was probably worried I might find the box but it was too late for that. "Nonsense," I said. I pushed him back down onto the couch. "I've got it." I showed him the nice stack of clothes with no box showing at all. His followed me as I moved to the other end of the couch and put down his stack of clothes. "Come sit by me," he said. I snuggled up next to him on the couch. "Very early in the morning," I replied. "Merry Christmas." "Do you guys always stay up this late?" he asked. "On Christmas Eve, yes, but this Christmas Eve was particularly late," I said thinking of the therapy session my sister and I had just had. It was very late, even by our standards. "There must be some really good presents under that tree," he said. "Yes, but I'm not sure they're all under the tree yet," I said thinking of that box in the middle of his clothes. "What do you mean? Are there more presents?" he asked, surprised as he looked at the tree that was overflowing with presents. "Well, Santa still has to come," I replied as I wondered how he planned on presenting that little ring box to me. "I guess that's right. What do you want Santa to bring you?" "I don't know," I said. I sat a moment and thought about how content I felt, snuggled up in his arms and how much I might be falling in love with this man. What I really wanted Santa to bring me was an answer to my current dilemma of what to do when he presented that ring box. Ryan pulled me in closer and said in my ear, "Well, Santa can't bring me anything better than what I have sitting right here next to me." It made my heart swell and took the edge off my anxiety but as I turned into Ryan's embrace and he kissed me softly, all I could think about was that ring box. I did not want this to end but I was also, definitely, not ready to get married yet. I broke off the kiss and moved away. I had to figure things out and being in his arms all night was not going to help me do that. "I've got to get to bed," I said. "Surely you can stay a few minutes longer," he said. "I'm not that tired anymore." "No, I've got to get to bed and besides, Santa must be coming soon." I stood up. "Okay," he said, "but I'd really like a few minutes alone with you tomorrow." I did not need to guess much to figure out what that was about. "Sure, but I'm warning you, it will be kind of a hectic day. We'll sneak away for a few minutes, probably in the afternoon." Hopefully by then I would have figured out what I was going to say. "Now get some sleep," I said, pushing him back on the couch. He pulled me down next to him and gave me a lingering kiss, that even with all my angst, still made my insides melt. I broke away. "Goodnight Ryan. Go to sleep so Santa can come." I walked down the hallway to my room, my heart still lingering on that last kiss but my brain was already trying to figure out what I was going to do. I knew there would be little to no sleep tonight. I woke up late the next morning, well, late for Christmas morning. It was almost 10:00 and I could smell the bacon cooking and I was sure Mom was making muffins and hash browns and pancakes too. It was our traditional Christmas breakfast. I was a little surprised I had actually fallen asleep. The last time I had looked at the clock it was just after 5:00 in the morning, my eyes had been burning and I had finally reconciled myself to doing what I needed to do. I was moving to Portland. Ryan was too important to me to lose him. Whether he was proposing or not, I owed it to myself and to Ryan, to see where this relationship could go. The only way to do that was to move to Portland. I had been thinking about all the things I had to do to make that a reality when I guess my brain had given out and sleep had overtaken me. I was glad for the sleep but I was still going to need a nap today. I heard a knocking on my door before Julie poked her head around the door. "Ohhh, good, you're awake. It's time to get up. Dad sent me up here to wake you up. Ryan volunteered but Dad was already nudging me out the door. Did you figure out what you are going to do?" I nodded my head slowly. "I'm moving to Portland." Julie squealed. "That's so exciting. We can go shopping together and do double dates. I'm so excited." She started jumping up and down. She had more enthusiasm for this prospect than I did. Perhaps it would be catching and, by the time I talked to Ryan, I would be jumping for joy too. I knew it was the right thing to do and if I had a job and my own apartment I might be a little more enthusiastic about the move. I guess those things would come with time and I was lucky I could live at home and had some savings. It would give me time to find the right job. "Let's go tell everyone," said Julie. "Not yet!" I exclaimed. "I'm going to tell Ryan when he gives me the ring. I'm hoping it will make things okay with him since I'm not comfortable with an engagement, at least not yet." "Ohhhh, good idea. Where'd you get such a great idea? Oh, it must have come from a genius," she said very innocent like, only Julie was anything but innocent. "Thanks for the idea Julie," I said in monotone. She gave me a big hug and said, "That's what sisters are for! Now get dressed and come downstairs or just stay in your jammies but everyone else has already gotten dressed. Mom's got breakfast ready and I'm starving." "You're not pregnant are you?" I looked at her sideways. "I'm not saying anything," said Julie and she escaped quickly out the door and down the hall. I ran to the door and yelled at her retreating figure, "What?" She just waved at me as she headed down the stairs. Now I had even more news to process. I was not sure I could handle all of this. I quickly got dressed and headed downstairs. Everyone was seated at the table waiting for me. I slid into my chair next to Ryan and squeezed his knee. I looked across the table at my sister, who I knew had purposely sat as far away from me as possible, and raised my eyebrows at her. She smiled back at me innocently but there was no chance for any private conversation across the breakfast table. I was not going to be the one to break the news, if indeed there was news to break. I dug into my breakfast and ate with gusto. Everything was delicious and all this new information in my life was making me hungry. By the time we got breakfast finished and cleaned up it was almost noon. We sat down in the living room to open presents. Julie was asked to pass around the presents. We started opening them one at a time so we could see what everyone got and we thank the person who gave us the present. This lasted about an hour until everyone started getting tired of opening presents and Julie just started handing out presents as fast as she could. It went much faster after that and we were done in another half hour but there was no small box for me or for Mom. I looked at Dad questioningly. He shook his head in the negative as if now was not the time. I think some part of me was had not given up hope that the box would appear under the tree with Mom's name on it. I thanked everyone for the gifts they had gotten me and turned to Ryan who was sitting with me on one of the couches. "Ryan, I didn't get much sleep last night. I think need a nap." "That sounds good," he said. "I need to go back to my condo and get a shower and some clean clothes. I'll meet you in a couple of hours and we can take a nice walk down the beach. I still have one more thing for you and I'd love to have some alone time and talk." I looked outside and saw the wind swirling around on the beach, the waves crashing onto the sand. I did not think we would be taking any romantic strolls along the beach today but we could find somewhere to be alone. We needed to talk. "Sounds good," I said. "We'll meet back here in two hours, although you're more than welcome to come earlier and hang out with the crazies." We walked away from the family and toward the back doo. "Thanks. See you in a couple of hours and thanks again for the Christmas gifts. I loved them," he said before he gathered me in his arms and soundly kissed me. A few minutes later I finally pushed him out the door. I slept like the dead. I woke up to the alarm I had set and hit snooze two more times before I made myself get out of bed. It seemed now that I had made up my mind about what I was doing, I could sleep again. I showered quickly because I knew Ryan would be waiting down with the family and it was very loud down there. I was not sure what they were up too but whatever it was, it was loud. When I finally made it downstairs, I saw the source of all the noise was John and his family, who had arrived a day early. "What are you guys doing here so early?" I asked, as I moved across the room to sit next to Ryan, who had my niece Amy on his lap. It looked like he was reading her a story. "Well, sis, there's this big storm heading toward Seaside. It's supposed to have wind gusts of up to 50 or 60 miles so Lisa and I decided to get ahead of the storm and come today. It wouldn't be Christmas if we didn't come to the beach house and besides, we thought it would be fun to watch the storm from inside this nice, safe, warm house where Mom does all the cooking," said John. I looked out the front window and sure enough the surf was higher and the wind was gusting even more than it had been before. Since we did not have cable here, I had not been listening to the news lately. That was one of the perks of the beach house. We got away from everything. However, we did have a radio for just such a situation. "Is it supposed to be bad?" I asked. "Only the wind and a little rain," said John. "Dad listened to the weather report on the radio and he said he didn't think there was anything to worry about. " "How was the drive?" I asked. "Not bad. The kids and Lisa took a nap since everyone has been up since very early this morning. I could do with one too." "We had a late night. We were up wrapping presents until the early hours of the morning but we got to sleep in." "Lisa was up late too. I'm glad it's over but onto more interesting things," John said rubbing his hands together. "What do you think of Ryan's plan to move to Seattle?" "What?" I asked, but it must have been a little more forceful and louder than I anticipated because everyone stopped doing what they were doing and looked at us. Ryan stood up and took my hand. "Excuse us everyone, we're going for a ride," he said. John was apologizing behind us and I was still in shock. Ryan was moving to Seattle but I was supposed to be moving to Portland. Ryan propelled me across the room and was collecting our coats while I was still trying to digest this information. Dad came up to Ryan as he was handing me my coat and said to Ryan in an undertone, "You should probably skip the drive and just go to your condo. The wind is picking up and the roads could be dangerous." "Thank you sir, I'll take that into consideration." With that, he opened the door and led me out to his car. We drove away in silence. I was loath to break the silence, mostly because I did not know what to say or how to say it. My "what" had come out so forcefully he probably thought I did not want him to move to Seattle, but it was not that. It was just that I was so surprised to find it out after I had already decided to move to Portland. I had a safety net in Portland but he had only an old roommate he knew in Seattle. Did he have a job? Where was he going to live? Were things going to work out between us? Would I feel guilty if they did not and he had uprooted his life? Probably. There were so many questions and concerns I did not know where to begin. I think maybe he didn't either. We drove in silence up and around the park before he cleared his throat and turned to look at me. "Let's head back to the condo and talk. Your dad was right about the weather. It's really not safe and it's getting dark," he said, turning back to look at the road. I nodded my head, "Yes, that sounds like a good idea." It was only a couple of blocks to the condo and we were inside sitting on the couch, looking out at the wind and waves before I knew it. Ryan turned to me and took my hand, "Jessie, John was right. I am moving to Seattle. I had wanted to talk to you about it but we haven't had much time alone in the last 24 hours." I nodded my head. He was right. We had had family with us most all of the time. "I got a job offer there and my old roommate, who I've stayed with when I come to visit you, has agreed to rent me a room in his house. I start my new job on January fifth." He looked at me expectantly as if I should be jumping up and down with excitement but I was just relieve and surprisingly, a little bit disappointed. "Is this what you wanted to talk to me about after my nap?" I asked. "Well, yes. Was there something else you wanted to talk to me about?" he asked. "No, I was just expecting something else." Ryan looked at me quizzically, "What else were you expecting?" I started without thinking, "Well, I found that jewelry box in your clothes when I moved them on Christmas Eve and it looked like a...," I stopped myself before I made a complete fool of myself. I didn't want him thinking I was expecting a proposal already. He looked at me questioningly and then I could see in his eyes when he realized what I had thought it was. "Ohhh, you thought it was a...," and he hesitated, turning a little red. "Yes, I thought it was a ring," I admitted. "I spent all last night trying to figure out what I was going to say to you when you presented it to me." I was careful not to say the word proposal. I was not ready to bring that word into the conversation. "No wonder you were so tired. And what did you finally decide?" he looked at my expectantly. I could tell there was a lot riding on this answer so I spoke from the heart. "I realized that I was falling in love with you and that I didn't want to lose you but that I wasn't ready for the next step, yet. I was going to move to Portland and give up everything in Seattle to see if things might work out. I didn't have a job and I was going to have to live with my parents for awhile but I felt we were worth it." Ryan gave me a big smile before he grabbed me into a big hug followed by a kiss that made my stomach jump and made me happy I had told him everything. "Jessie, I love you too. It's one of the reasons I decided to make this change. Now don't worry, because I know you might. It's a good job, with a great company, doing something I want to do and they are even going to pay me better. Everything is exactly as I would want and even though I'm not asking you to marry me right now, I am asking you to let me live in the same city as you." He shrugged, "We'll see how things work out from there." "I can live with that. So, tell me some more details about this job and why you didn't tell me beforehand about it." He explained all about the job and I could see he was really excited about it. He decided not to tell me at first because he did not want me getting all scared he was changing his whole life just for me, which I probably would have done. Once he got the job, he decided he wanted to keep it as a Christmas gift for me but he forgot to tell John that it was a secret. Things always come to light in our family. It's probably better he should learn this now. We snuggled and kissed and got our fill of each other before we decided we should probably head back to the beach house. "I do have one more surprise for you but you kind of know it's coming," said Ryan as he handed me the square, wrapped box that had caused me so much angst the night before. "I'm not sure I can open it," I said, but I was only kidding. I picked it up from his outstretched hand and tore off the wrapping. Inside was the beautiful three diamond necklace I had tried on at the jewelry store and absolutely loved. Ruby, the jewelry expert, had come through for me. "I love it! It's beautiful and exactly what I picked out." I handed it to him so he could help me put it on. "How? How did you manage it?" I asked. "Your father helped me orchestrate the entire thing. I asked him and your mother for advice on what you might like. It was a more than a little nerve wracking to call them, by the way, but I knew John would not be any help. Your father thought he could take you to this jewelry shop he knew and have you try and pick out something you liked as a ruse to helping him pick out something for your mother." "But he did pick out something for my Mom," I exclaimed. "It was a beautiful diamond ring, which is why I thought this was a ring," I said as I pointed at my necklace. "I thought it was that ring!" "Are you disappointed?" asked Ryan, with a little chuckle and maybe a little bit of a real question as well. "Not really. I'm probably more relieved than anything else. It was a ring I liked, I mean I picked it out, but I loved the ring because it was a ring my dad was picking out for my mom. It was beautiful and perfect for her." I got a hug and a kiss again and then Ryan decided we really had to return to the group. They were probably all wondering what was going on with us and we probably should not keep them in suspense any longer. We got in our car and made the short drive down the road to the beach house. When we arrived, everyone was doing their thing. We got a big hello and some sidelong looks but other than that, everyone went back to doing what they were doing except John. He hurried over to our side before we got our coats hung up. "I am so sorry. Ryan, I had no idea your moving to Seattle was a secret. Lisa has already roundly chastised me, but if there's anything else you'd like to say to me, go ahead. I can take it." "It's fine," Ryan said. "I should have told you I was surprising Jessie with the news. I just figured you wouldn't be here until after Christmas so I would have time to tell her the news in my own way, but the storm..."
"..and my big mouth," interrupted my brother. "Yes, and that too, brought it all up sooner than expected, but we're all good," Ryan said, giving me a little squeeze. John looked at me and I nodded. "Yes, and look at the necklace he got me for Christmas." John whistled. "That's nice!" He turned to everyone else in the room and said, "Look at what Jessie got from Ryan for Christmas." Everyone started standing up so I moved quickly towards them and started showing off the necklace. They all ohhed and ahhed appropriately. Once I had shown everyone, I sat down next to Julie and told her everything that had happened. She laughed. I'm glad someone was able to laugh, already, at what happened. Michael came over and asked Julie to come join him by the Christmas tree. Ryan slipped into the spot Julie had vacated and we sat and watched Amy and Riley, John's two oldest children, trying to play a board game that was meant for children twice their age. Ryan reached out and took my hand in his. Michael asked for everyone's attention. He and Julie were standing together by the tree, holding hands. "We have an announcement," said Michael. He paused. Ryan leaned over and whispered in my ear, "I know what it is." I whispered back in his ear, "I'd like to hear the story behind that." Ryan smiled and squeezed my hand. "We are expecting and I am due in about seven months," said Julie. Congratulations came from every direction. Mom and Dad came and gave Julie a big hug. Mom hugged Michael too, but Dad just shook his hand and patted him on the back. "Julie, I have one more gift for you," said Michael and he handed her an oblong package wrapped in familiar wrapping paper. Ruby was doing some brisk business with our family this year. All the men must have gotten something when they went out yesterday. I did not even realize they had been gone that long. Julie tore off the wrapping paper and opened the oblong case to reveal a very nice charm bracelet with one charm on it. It was a baby rattle. "I love it," she exclaimed as she quickly put in on her wrist. My mother took Julie's hand and admired her new bracelet, "Congratulations, and what a thoughtful and lovely present, Michael. You did good." Just then my father grumbled and everyone looked at him. He was on the other side of Mom and she turned to see what was the matter. "Thanks, I just wanted to get everyone's attention," said Dad, clearing his throat. "Congratulations to Julie and Michael. That will make our sixth grandchild and we couldn't be happier. But, since we are all handing out gifts, I have one more for your mother." Dad took Mom's hand. "Dear, we've been married for 35 years, soon to be 36. It was 36 years ago today that I proposed to you. That Christmas day so many years ago was one of the most nerve wracking days of my life, just ask your parents." Dad gestured at Grandma and Grandpa Thomas. They both nodded enthusiastically before he continued, "I had talked to your father and asked for your hand in marriage on Christmas Eve. It seemed like the best thing to do seeing as I was a guest at their home and was about to ask their daughter to marry me. I spent most of the day with sweaty palms and a nervous stomach. I think it's the only Christmas when I haven't been able to fully enjoy all the good food and treats. It took me until well into the night before I finally got up the nerve to ask you. It seems like only yesterday but it wasn't and I only know that because we've raised four kids and now are about to be the grandparents of six grandchildren. I look around me and they remind me but you still look the same to me. I don't know how you do it." Mom pshawed him but he kept on going. "You do look as beautiful as the day I met you and you've managed to put up with me and all these hoodlums," he gestured at all of us, "these past 35 most wonderful years and I love you more than I realized was possible that day 36 years ago. I wanted to give you a little token of my love and my thanks for putting up with all of this." He put the small square package with the all too familiar wrapping paper in her hand. She carefully removed the wrapping paper and then opened up the box. "Oh my," she said and was looking up into the eyes of my father so quickly that I was not even sure she truly saw the ring. For her, it seemed to be the gesture of the ring more than the actual ring. That was something I wanted to remember for my own future. She gave my dad a great big hug and a kiss and then handed the ring to him. He put it on her finger. It was a beautiful ring and would be a lovely reminder of this moment. We all got up to admire the ring but Mom was looking at Dad. He had really come through this year. I snuggled back into the couch with Ryan and whispered into his ear, "Just think, you might have been the catalyst behind all of that." He squeezed my shoulder and I felt like one lucky girl.